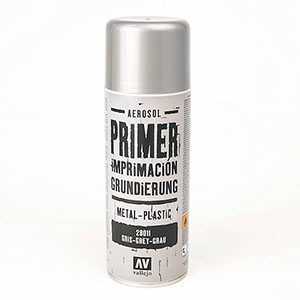 This Vallejo White Surface Primer is ideal as a primer for miniatures, terrain and other projects. The primer contains 400ml of white paint. Make use of the improved spray nozzle that allows you to dose the amount you apply with much more ease. 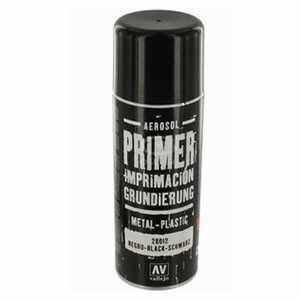 With proper use, the Vallejo Primer will leave a very thin layer of the undercoat on your project. Due to the fast drying character of the primer it is ideal to paint over. Beware! Flammable. The solvents used do not contain CFC or toluene. Game Color Imprimación Gris / 17 ml.